Carbon or no carbon? That is a relevant question when it comes to the twin tips of F-one. Both the Acid and the Trax are amazing boards when it comes to performance. 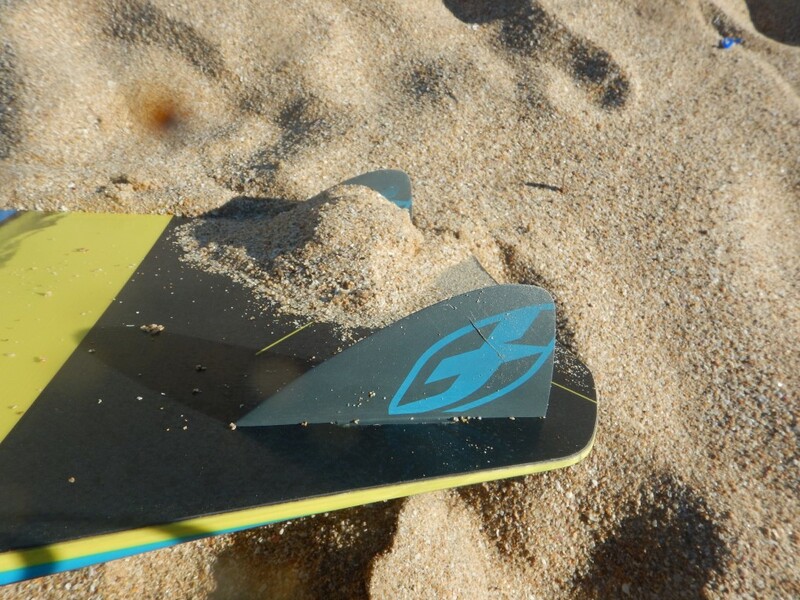 The super comfortable Acid and the low – and up wind capabilities of the Trax made these boards very populair. 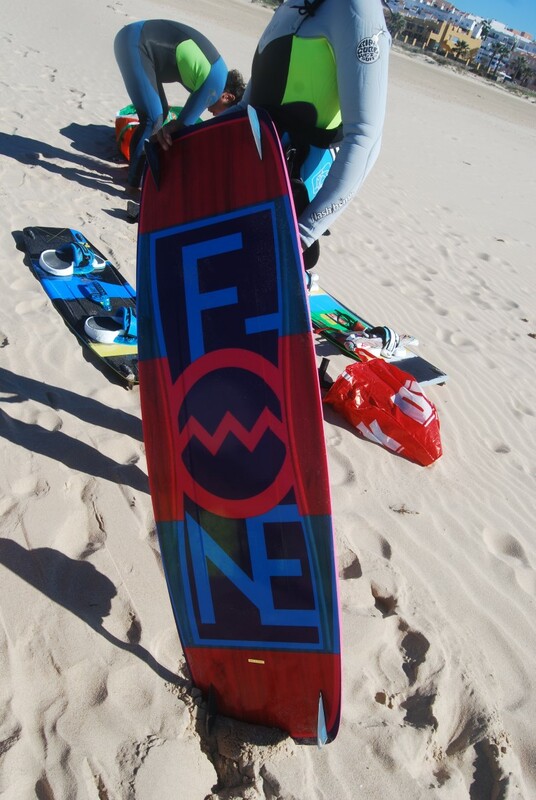 But as we have many people around us riding happily on these two F-one boards we also have seen that a lot of the carbon version have a tendency to break. Luckily F-one Benelux has a good warranty back-up so most of the unlucky owners that broke one have a new board in no time. According to the product video’s all twin tips haven’t changed much from ’15 to ’16. The boards still come with the F-one invention from a couple of years ago where the rail varies in thickness over the board from tip to tip; the Helical Rail Design (HRD). Most obvious changes for 2016 can be found on the new pads&straps and the new colourful designs. 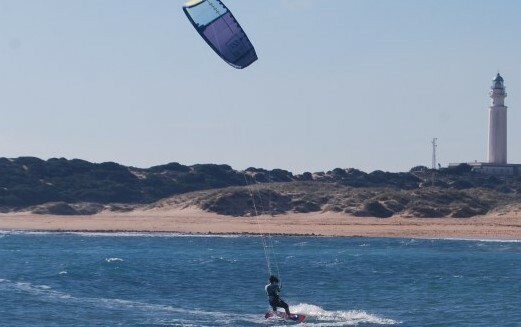 For one whole month we could test the new Trax, Acid Carbon (large) and the Acid Girly edition in Tarifa to see how the changes F-one has made affected these boards. like the well known flexibility and comfort but unfortunately back then the boards were already quite vulnerable. Even in the old days (2008 version mostly) we saw more than half a dozen Acid boards with the same strange breaking pattern from tip till tale (instead of the more common side to side crack) due to long term stress (rather than due to a hard landing). The Acid did developed in time to stay one of the nicest and comfortable twin tips we know. The combination of the HRD, the flex and the medium rocker it feels quite loose on the water and is just begging to be thrown around. But judging from the broken carbon versions of 2015 we suspect it still isn’t bomb proof. From 2016 on the Pinky blue Girly version now comes in two sizes, just as the normal Acid (in 2015 only the smaller version was available in the Girly edition). The Acid Girly is just the same as the Acid Lite Tech but in different colours. A ride on a Lite Tech Acids is different from the Acid with Carbon, but you have to be really picky and quite advanced to feel it. It becomes obvious when you use the two versions back to back. Things get a little bit more mellow and less aggressive on the Lite tech, probably because the carbon version gets back into its shape quicker and more reactive. So both the Acid Girly and the Lite Tech are slightly less responsive boards compared to the Carbon, but most people won’t really notice it. There is also a third variant of the Acid. This Next Generation Acid comes at two sizes which are smaller as the other versions and meant for kids. As for the carbon, it will make the boards lighter, but it also makes the boards more vulnerable. From the past we have seen numerous problems with F-one twin tips. For the Trax mostly delamination (especially the ones from a couple of years ago) and more recent breakage (mostly the Acid Carbon version). We have the impression the Trax and Acid carbon versions are not build to be ridden with boots, although the new F-one video shows impressive moves ridden with boots. 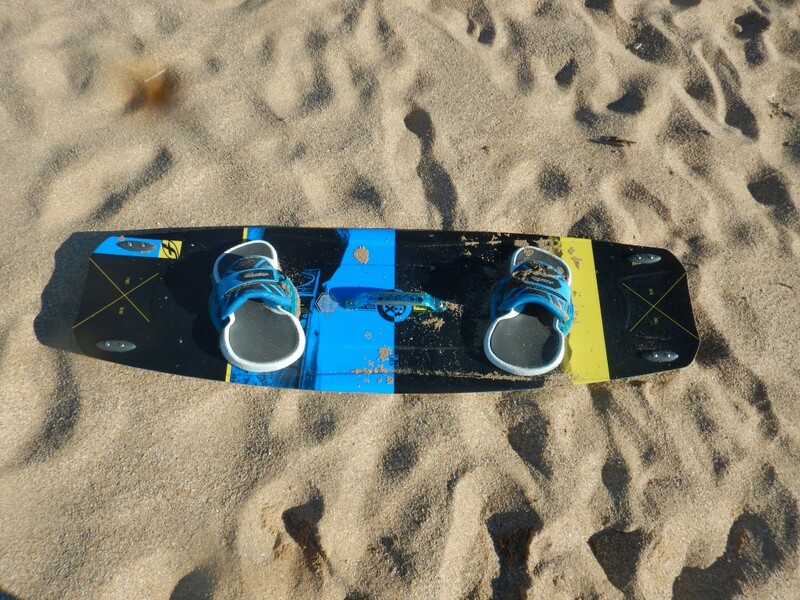 If you plan on using any of the F-one boards (and we can imagine you will, especially the Acid) and like to push it to the max and certainly if you ride on boots we advise to take the glass fiber “Lite tech” versions. It will also save you roughly a good 150,- euro’s. Why such soft and bending material for their fins? We don’t get it. 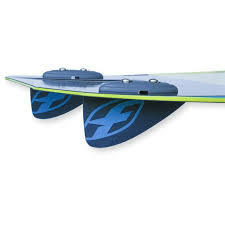 On top of that F-one has its own system, called Unibox, which means only F-one fins can be used. A bit customer unfriendly. The good thing is you won’t loose the fins from the box but the fins are so weak that if you hit something they break a lot sooner than most other fins. Wake style fins are such a relief for wake- and freestyle riders. Mostly because they allow you the land a trick without putting down the board in the perfect angle. 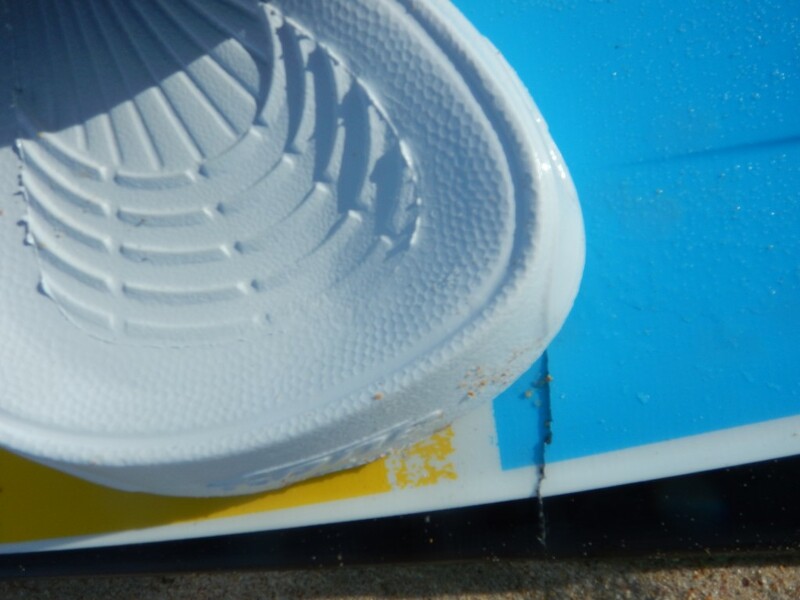 Normal (bigger) fins will punish you quite hard (the board won’t slide sidewards and will get its edge at the toe side and stop and flip over in an instant)- ouch! Riding F-one Acid or Trax with boots? Unfortunately there are no wake style fins available for the Unibox system in these boards. However the F-one true wake style board Spicy (which we didn’t test) does have wake style fins, but that one comes with the standard fin box. F-one could solve this issue for the Acid and the Trax quite easily by simply providing wake style fins for the Unibox system. The 2015 straps where a bit annoyingly for people with little (narrow) feet. Also the 2015 pads where quite slippery. Landing hard when coming down from a big jump made your feet go deeper in the straps a bit too often. ore to the front or back if needed. 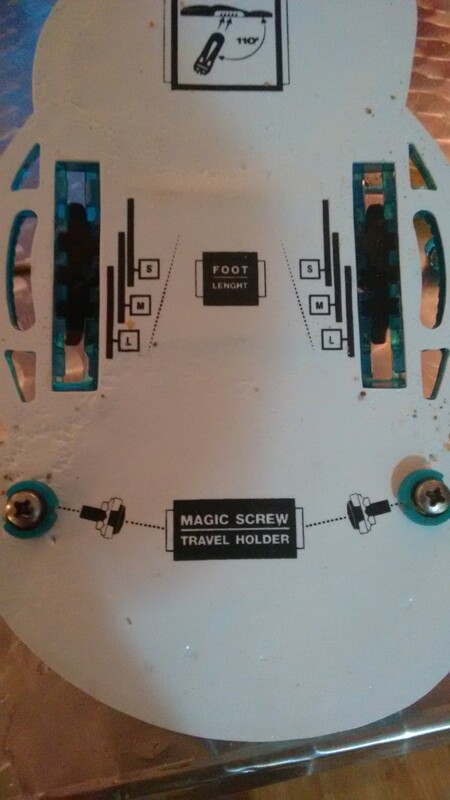 The pads have inserts at the bottom where you can put your screws. Really handy for travelling, since it is now impossible to lose your screws. A full explanation is nicely given in the F-one Platinum3 product video. One option which isn’t explained clearly is switching around the plastic inner parts they become roughly one centimeter wider, which helps the ones with either narrow or wide feet. One thing which a few testers came across in this 2016 test is the loosening and even completely opening of the straps. 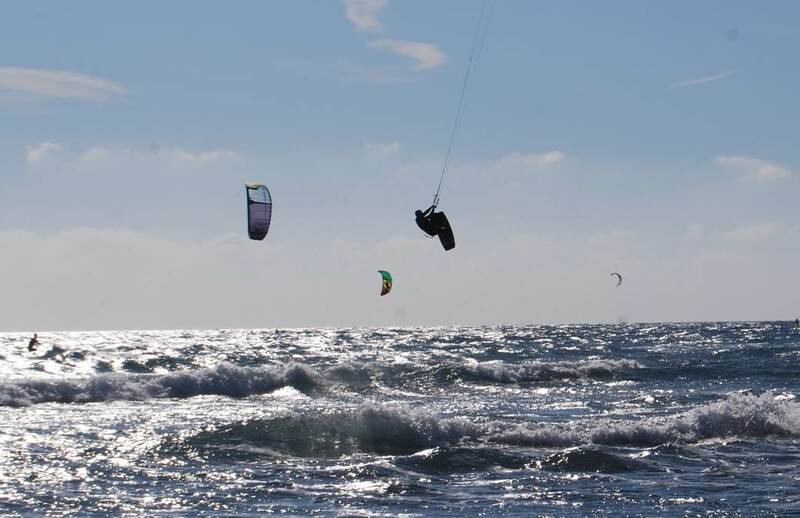 It seems the F-one straps are not build for high end or high impact kiting. We know of a couple of brands (like the Entity of North or the Naish Apex) which we prefer above the F-one pads&straps. Good thing F-one now comes with prices for the board with or without pads&straps.